Have you tried enriching your reviews by using the crop tool? 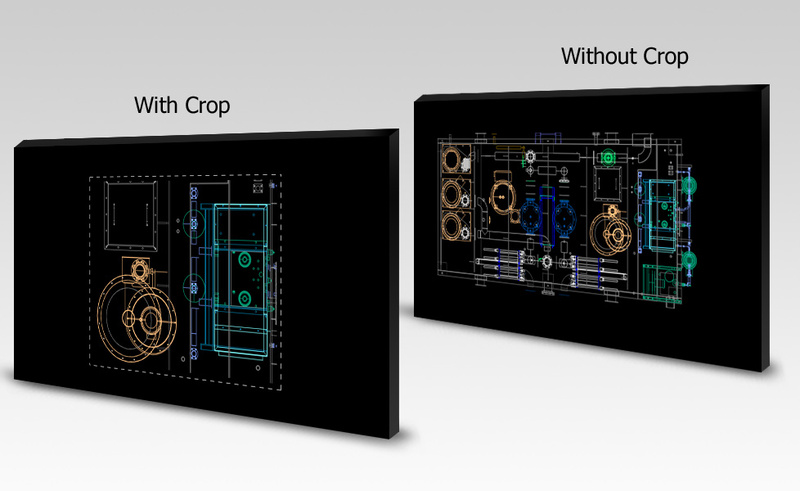 The crop tool allows you to send your reviewers only a part of your drawing. Nowadays, there is no way to send a certain part of your drawing while keeping it editable and interactive. At best, you can export it to PDF or JPG. You might also want to have your reviewer focus on a certain part or issue of your design. Another reason to use the crop tool is to hide areas of your design that are confidential, or parts that you’e just not ready to share yet. Open a drawing you’d like to review. Start a review by clicking on the “Share and Collaborate” button, and then selecting “Review”. On the ribbon you will have a “Crop” button. Click on it. Adjust your crop via the grabbing points and hit “Apply Crop”. If you want to change or remove an applied crop, click again on the “Crop” button in the ribbon. Your reviewer will only see what’s inside the crop area. The crop is identified by the gray dashed border around it, as illustrated above. Your reviewer can’t select or modify any object that is outside the cropping area. Objects that are in the cropped area but stretch outside of it – can be modified. We hope you’ll find this feature useful in your reviews. This entry was written by Butterfly, posted on May 5, 2010 at 7:40 AM, filed under News. Bookmark the permalink. Follow any comments here with the RSS feed for this post. Post a comment or leave a trackback: Trackback URL. Crop Tool is supercool. i’ve been looking for such an option for a long time.